When many people think of Nevada, visions of beautifully-bronzed skin dance in their head. The sun is a bit to harsh in the desert for natural tanning so many head to the local tanning bed for that year round color. If you are looking for a bit of a glow to get you through the winter or to even take back to the office after a vacation in Sin City, check out one of our top 10 favorite tanning salons in Nevada. This is the go-to salon in Vegas for any and all types of tanning. They offer traditional tanning beds, high powered models, and even air brush units. The range of products not only fits all the client needs but also makes their full menu of services budget friendly. This interesting twist on a tanning salon is an alternative for those who can not tan on their own. They offer hand sprayed airbrush tanning for daily use or special events. The customer service is among the best in the area and they take the time to get an airbrushed tan just the right color. This salon takes tanning to the next level by offering the best equipment around. Whether you are looking for a fast tan via their high-speed machines or something more luxurious via a machine that not only mists but also releases aroma therapy scents, equipment is king in this business. With no membership requirements, this is a great spot for both locals and those just on vacation. 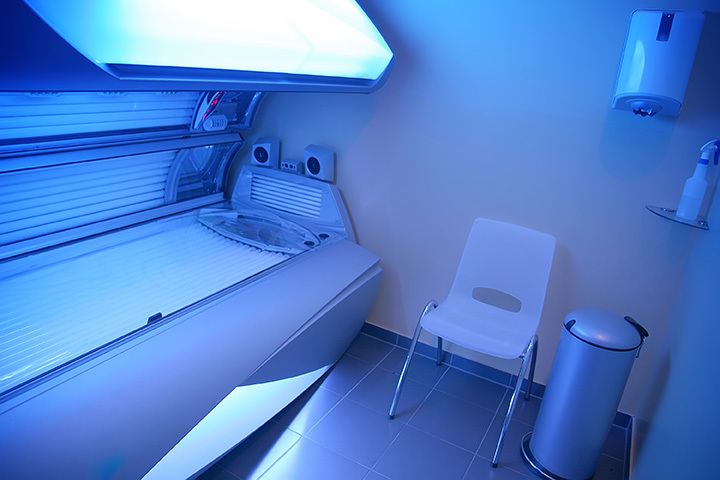 They offer a full range of tanning beds, services and even light therapy options. If you are looking for a quick application of color for a special event, they also offer several different options for airbrushed tans. This is a local favorite due to their great prices and flexible packages. They offer a full range of bed options and some of the best prices in town for packages. Their staff is also very friendly and ready to help guests find the best fit as far as tanning packages. While many places only offer tanning, this is a full-service salon. They offer a full range of tanning beds and spray tans. They also offer select services like the aqua-massage for a full day of beauty each time you tan. Work odd hours? This spot offers tanning services 24/7 with special packages for after hours use. This is the salon of choice for many in the entertainment business that need tanning at off times. The boutique experience without the high cost. The focus of this local favorite is delivering a spa experience in a stand alone tanning business. The staff is very helpful and knowledgeable. A small-town favorite, this is the type of place locals keep secret just so it does not get too busy. They offer tanning services with that small town customer service most city dwellers dream about. They really get to know their customers here and deliver top service. This beautiful structure is an oasis in the desert. They offer the full range of both tanning and spa services. Many local enjoy the fact that you can combine spa services with tanning. Services also focus on skin care which is a nice add on to their tanning packages.